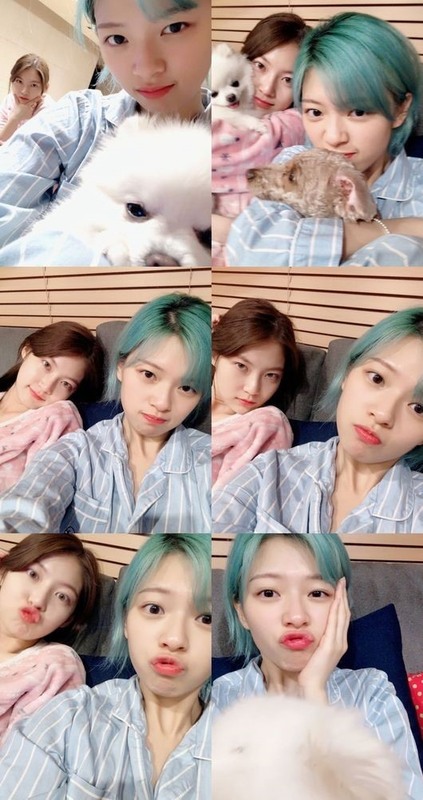 Twice’s Jeongyeon posed in pajamas with her sister, actress Gong Seung-yeon, in pictures revealed via Gong’s Instagram account Wednesday. They each held a puppy in their arms while Jeongyeon’s green hair caught attention. Jeongyeon recently wrapped up promotional activities for “What is Love?” as part of Twice. She is currently preparing for the group’s concert.